Last weekend (Aug. 9/10) , Shanghai Shipyard delivered the new 28,000 DWT heavy lift vessel MV DA DE to COSCO Shipping, adding to their five other vessels of similar type. Her sister vessel, MV DA XIN was delivered last month and they both feature dual 350 ton cranes which are the largest in COSCO’s fleet. 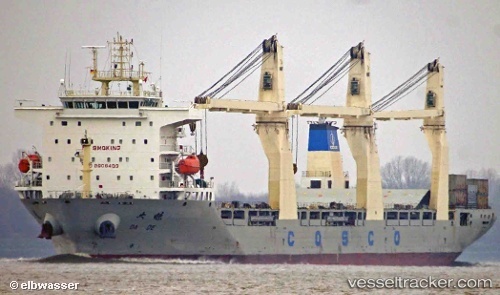 Looking for a bit more capacity however, COSCO announced earlier this summer of their plans to further expand their fleet with an order a 90,000 ton DWT, DP-2 semi-submersible heavy lift vessel from Guangzhou Shipyard. The vessel will have an overall length of 255 meters and will be able at submerse its main deck 16 meters in order to lift very heavy and large cargoes.